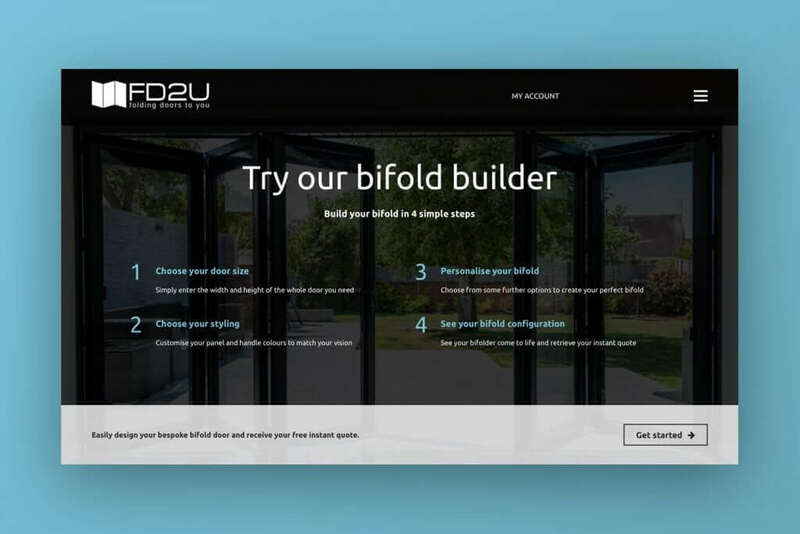 Our bespoke Bifold Door configurator software was designed and developed in house by Essex Web Design Studio Ltd. The idea was to have a piece of software that would not only give customers an instant price – but would also show them how the door was configured & how it would function. Since most bifold doors are bespoke, we figured it was only right to give customers the chance to spec their new doors with all of the available options. Therefore the software is designed to guide customers through the various stages of options, showing them how the doors would look and open and then finally emailing them and instant bespoke quote. A large part of the design was ensuring the animations for the doors were not only smooth, but also accurate to how the doors work in real life. For this we worked closely with some of our clients and their factories who provided the exact measurements of their door’s aluminium profile to give an accurate representation in the animation. The v3.0 release of this project now integrates the visitors customised order with the client’s e-commerce store, allowing customers to place their bespoke order instantly online. We can then integrate these orders with their SAGE accountancy software making the entire process automated and capable with dealing with a large monthly order bank.